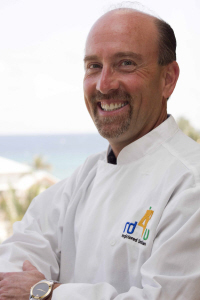 Adam Lax, a registered dietitian in Palm Beach County, Florida, has been caring for patient dietary needs in the medical field for over two decades. Doctors, surgeons and other medical specialists come to Adam for help meeting their patients’ nutritional needs. Adam enjoys food. Prior to working in the medical field, Adam spent eight years in the culinary arts preparing exceptional meals for his patrons in major theme restaurants and is ServeSafe™ Certified by the National Restaurant Association. He knows that food can be both nutritionally sound and delicious. Adam is committed to fight the weight epidemic with natural solutions. His programs focus on right nutritional balance, personal support and coaching and correctly-sized portions—all with real food that is intended to nourish and promote health. Adam combines his clinical expertise with his culinary acumen to help his clients get their lives back. When the right nutritional balance is combined with personal support, amazing things happen. Adam’s knowledge, skills and far-reaching experience make him a real expert with real solutions. Just ask the thousands of people who have transformed their lives with Adam’s help. Contact Adam now and begin changing your life.